Papenzyme (Papain) Reagent for the Two-Stage Technique (using packed red cells) or Two-Stage Technique (using 2-3% red cells). 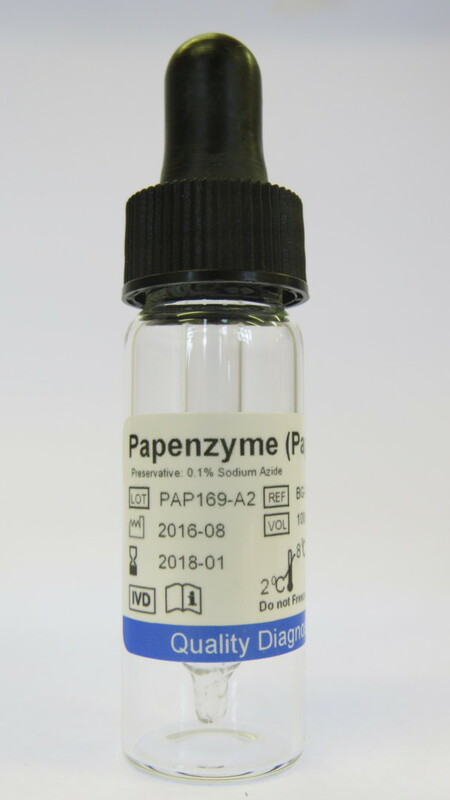 Rapid Labs Papenzyme-Plus reagent is a ready to use liquid preparation of stabilised papain. The reagent is standardised by serological methods for use in blood group antibody investigations. The reagent is supplied at optimal dilution for use with all the instructions for use stated below without need for further dilution or addition.